With one of eight natural deep water marine terminal facilities in Washington state, its 1,000+ slip marina, and its roughly 80 acres of commercial properties, the Port of Anacortes is instrumental to the success and economic development of the community. Created in 1926, under provision of the Revised Code of Washington (R.C.W. Title 53 et seq. ), the Port of Anacortes is a special purpose district. It is independent from other local or state governments and performs accounting and financial reporting activities very much like a business. Through user charges, property leases, tariffs, and fees, the Port is self-sustaining in providing ongoing services in furtherance of its mission. As a municipal government, the Port is authorized to collect property tax revenues from property owners within its district. Based on Commission guidance, the Port uses its tax revenues to fund industrial land acquisition and development, including environmental costs; to pay for debt incurred to acquire, expand, or construct facilities that are used to support the Port’s mission; and to fund public access improvements. The annual operating and capital budgets are developed through a transparent budgeting process, which includes public review and Commission approval. 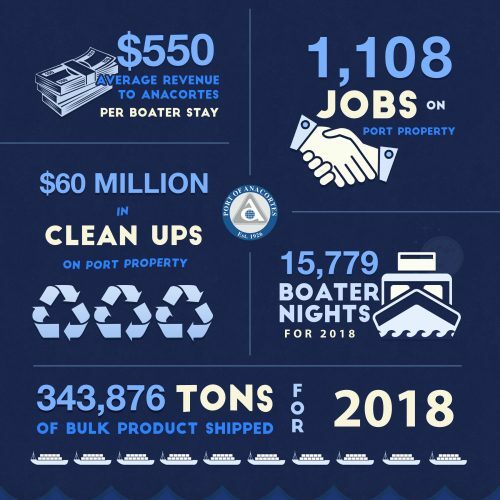 Each fall, Port staff reviews projected revenues and expenses against the Port’s goals and objectives for the coming year and develops a preliminary budget. In early October, staff presents the preliminary budget to the Board of Commissioners at a budget study session, held during a regularly scheduled Commission meeting open to the public. Following that study session, the draft budget is made available on the Port’s website as well as hard copy from the main Port office. A public hearing is held on the preliminary budget at its first regularly scheduled Commission meeting in November, followed by a Commission decision on the Port’s final budget. The final budget has several major purposes. It converts the Port’s policies and plans, including its Strategic and Comprehensive plans, into services and future capital improvement projects. It serves as a vehicle to communicate these plans to the public and becomes the work plan to be accomplished in the next fiscal year. The 2019 budget reflects total operating revenues of $16.279 million, an increase of approximately twelve percent from the 2018 budget. While the Port has conservatively estimated no new business or revenue streams, the strong economy, growth in inflation, and rising oil prices have contributed to increased activity at the marina, anticipated lease and other facility rate increases, and higher fuel sales. Due to these same factors, the 2019 budget projects operating expenses of $15.760 million, a thirteen percent increase from the 2018 budget. The 2019 capital budget of just over $7.1 million primarily focuses on long-term deferred maintenance across all operating areas, along with planning and design for new redevelopment opportunities within the marina. While the Port’s current financial outlook remains positive, the potential financial impacts of economic uncertainty and volatility in local, national, and global economics, shifts in markets (especially those affecting our local refineries), considerable capital requirements for the Port’s aging infrastructure and development plans, and continued regulatory requirements and environmental risks remain challenging. The Port issues an annual financial report following the end of each calendar year. This report is audited by the State Auditor’s Office. The report includes a summary of the year, known as Management’s Discussion and Analysis, along with the financial statements and notes to those statements. 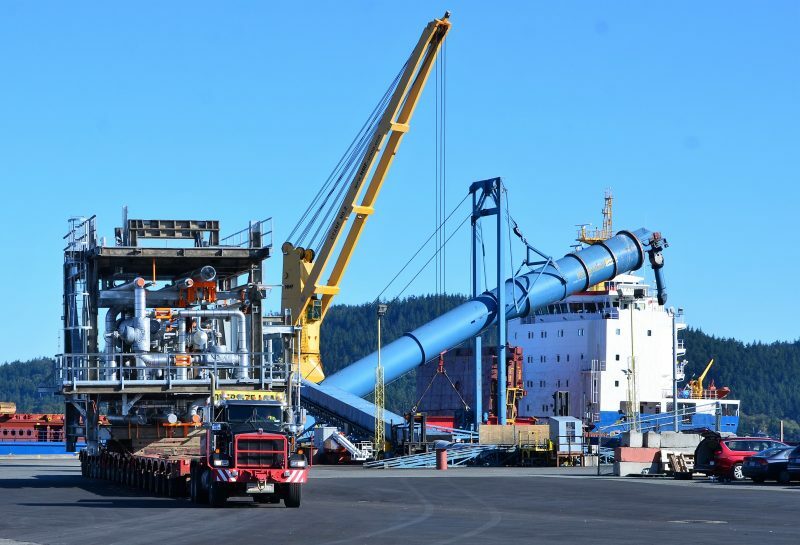 The Port of Anacortes has been recognized by the Washington State Auditor for having an exemplary audit track record, for staff’s excellent communication and transparency in regards to financial information, and for their proactive approach to internal audit functions to best protect Port assets and resources. In addition to the annual financial statement audit, the State Auditor’s Office, in accordance with RCW 43.09.260, performs an accountability audit involving the review of the Port’s uses of public resources, compliance with state laws and regulations and its own policies and procedures, and internal controls over such matters. The Port is permitted by law to levy up to $0.45 per $1,000 of assessed value of taxable property within the district for general purposes. Today, the Port receives about 22 cents per $1,000 of assessed value. The average Port district taxpayer pays about $94 per year to the Port for property valued at $425,000. How are the taxes used? An account, which is separate from the Port’s general operating account, handles tax proceeds. The Commission has directed that the funds collected by the tax levy will be used for property acquisition, industrial development including environmental costs, debt service, and public access improvements. Improving Port facilities to create more jobs and encourage business growth for the community is one of the Port’s top priorities. The existing tax levy helps to ensure the Port’s ability to remain nimble to new business opportunities, to acquire new properties, and for borrowing money towards capital improvements. Commission oversight and guidance relative to tax proceeds ensures decisions are driven by benefits to the community and environmental stewardship, and not just to bottom line results. How are the taxes not used? Tax proceeds do not pay for the operating costs, including salaries and benefits, for the Port.